Idealistic and loyal to their values and to people who are important to them. Want an external life that is congruent with their values. Curious quick to see possibilities, can be a catalyst for implementing ideas. Seek to understand people and to help them fulfil their potential. Adaptable, flexible and accepting unless a value is threatening. 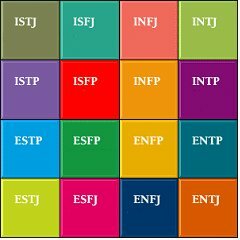 According to Myers-Briggs, they focus much of their energy on an inner world dominated by intense feeling and deeply held ethics. They seek an external life that is in keeping with these values. Loyal to the people and causes important to them, INFPs can quickly spot opportunities to implement their ideals. They are curious to understand those around them, and so are accepting and flexible except when their values are threatened. Their polite, reserved exterior can at first make them difficult to get to know. They enjoy conversation, however, taking particular delight in the unusual. When INFPs are in a sociable mood, their humour and charm shine through. Disposed to like people and to avoid conflict, they tend to make pleasant company. Devoted to those in their inner circle, they guard the emotional well-being of others, consoling those in distress. Guided by their desire for harmony, they prefer to be flexible unless their ethics are violated. Then, they become passionate advocates for their beliefs. They are often able to sway the opinions of others through tact, diplomacy, and an ability to see varying sides of an issue. They develop these insights through reflection, and they require substantial time alone to ponder and process new information. While they can be quite patient with complex material, they are generally bored by routine. Though not always organized, they are meticulous about things they value. They are creative types and often have a gift for language. As introverts, they may prefer to express themselves through writing. Their dominant feeling drives their desire to communicate, while their auxiliary intuition supplies the imagination. Having a talent for symbolism, they enjoy metaphors and similes. They continually seek new ideas and adapt well to change. They prefer working in an environment that values these gifts and allows them to make a positive difference in the world, according to their personal beliefs.